Serving Ocala's Air Conditioning Needs! Need air conditioning services for your home in Ocala, Florida? We offer complete servicing of your ac unit so whether you need AC repair, preventative maintenance, or installation, we have you covered! 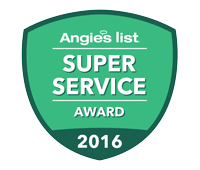 Our technicians are friendly, experienced, and most importantly, honest! You never have to worry about our intentions or integrity, and we always deliver on our promises! We do air conditioning the right way! Is your ac unit having issues keeping your home cool? Call us today and schedule your ac repair visit! Our technician will come to your home on time and proceed with a thorough troubleshooting of your ac unit. Once he finds the problem, you will be notified, shown exactly what the problem is, and offered the solution with up-front pricing. After authorization, he will proceed with the repair and show you the finished result. We always make sure your unit is running before we leave! 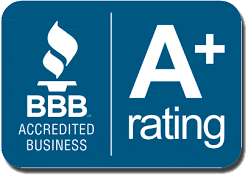 When it comes to AC repair in Ocala, we are your specialists! Need a new ac unit for your home in Ocala, Florida? Let our staff help you equip your home with the proper air conditioning system. We offer free second opinions and free ac estimates to Ocala homeowners seeking a new ac unit. We don’t employ salesmen; instead, an experienced tech or a member of our management will come to your home. We never pressure our customers, and we custom tailor all of our jobs to your individual needs. We regularly install heat pumps, mini split or ductless ac systems, package units, gas furnaces, and other systems, so whatever your needs are for ac installation in Ocala, Coast To Coast has you covered. Regular AC Maintenance is critical to maintaining the efficiency and performance of your ac unit. Our preventative maintenance visits involve a thorough “Check-up” of your ac system where we test every mechanical and electrical component and also clean your ac unit. Ac maintenance helps keep energy bills low, catches problems early, and helps prevent premature failure. Call us today at 352-229-6221 to schedule your ac maintenance visit!